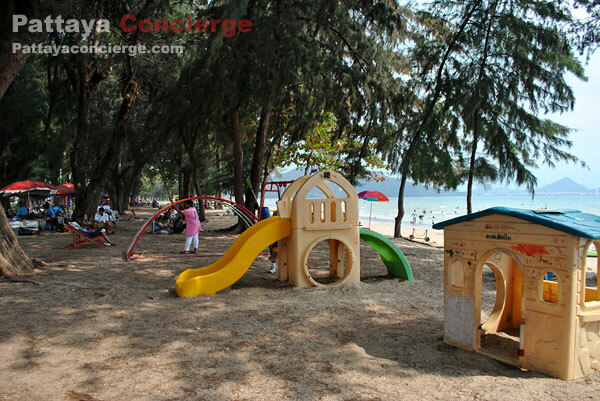 Dongtan Beach is an interesting beach for those who are looking for a quiet beach in Sattahip. 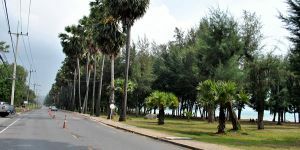 There are a plenty of high sugar palm trees along the beach (and other types of trees), so it is suitable for those who would like to picnic there. Although there are not many visitors here, there are still restaurants, small shops, and toilets available. Additionally, if you are keen on sailing a sailboat, this is a great place for it because there is a sailing club at this beach. Visitors can take a course from it as well. 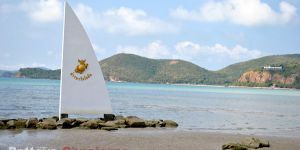 Dongtan beach is in the area of Royal Thai Fleet, Sattahip. 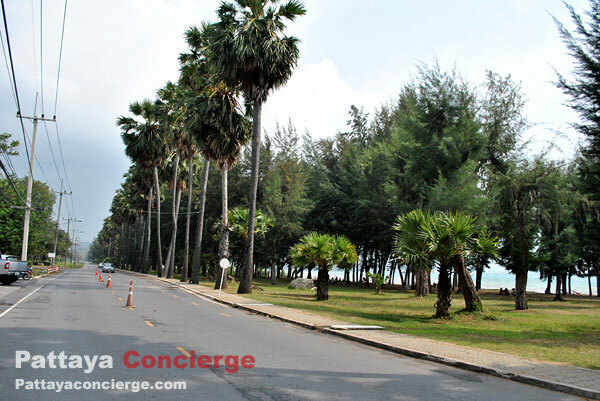 Since there are lots of sugar palm trees at the beach, Thai local residences here named the beach, Dongtan which means the area of a plenty of sugar palm trees. The length of this beach is quite long, while there are not many tourists here, so it can be seen as a quiet beach. However, because of the long beach, the facilities are not enough for the entire beach. Many visitors choose to stay near the facilities, such as the restaurant and toilet. When you look at the beach, you will be able to see, on the right-hand side, a long bridge. There is also the sailing club providing a sailing course for visitors. The sailing teacher is, of course, a Thai navy. He will let you sail a sailboat to see few islands around this area. This is a reason why to take a sailing course here is more interesting. Additionally, visitors can rent a tent to stay at the area of permitted beachfront provided. Dong Tan Beach can be seen as a beach of activities because there are several activities for visitors to do. 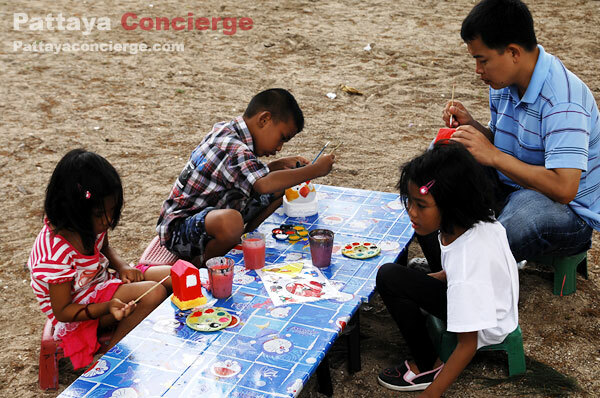 Of course, you can go swimming and sailing a sailboat here, but there are also painting and massages at the beachfront. This is also a difference from other beaches. 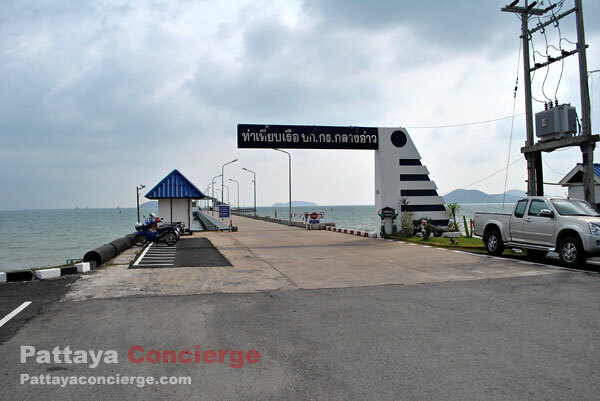 To go to Dongtan Beach, you need to get in from the entrance of Royal Thai Fleet, Sattahip. It is about 3-4 kilometers from the Sattahip market. If you do not have a private vehicle, you can take a white Songthaew to go to Sattahip first, then go to the Royal Thai Fleet with a blue Song Thaew, then take a motorcycle taxi from the gate to the beach. Far from here about: 2.2 km. 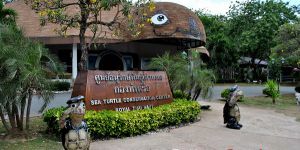 Sea Turtle Conservation Center, Sattahip, Thailand, is one of interesting attractions around Pattaya and Sattahip. When visiting this place, visitors will get knowledge about sea turtle life and Different types of Thai sea turtles. There is also a few turtle ponds for visitors to see turtles in different ages. Outside of the building, there is a small beach set up and a turtle statue for taking a photo, but visitors are not allowed to go swimming there. 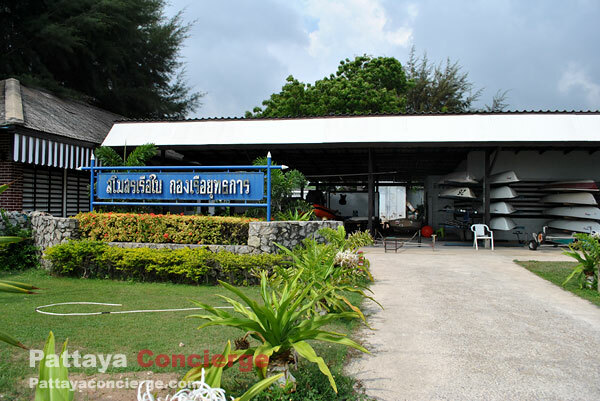 The location of this Sea Turtle Conservation Center is in the area of Air and Coastal Defend Command, Sattahip. Far from here about: 4 km. 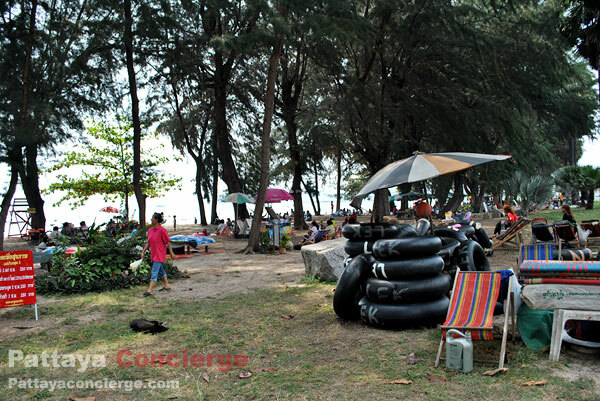 Nang Ram Beach (Nang Rum Beach / Hat Nang Ram) is the most popular beach in Sattahip, because not only are there enough facilities and restaurants supporting visitors, the beach and sea water, taken care by Thai Navy, is also really beautiful. Only for Thai visitors, there is a giant war ship, named Chakkri Naruebet, look around as well. Also, not far from the Nang Ram beach, visitors will be able to see a small island, where it is a place for seeing shallow coral reefs around, but visitors are not allowed to visit the island itself. The location of Nang Ram Beach is near Jook Samet Port, Sattahip. Far from here about: 6.8 km. Hat Toei Ngam (Toei Ngam Beach) is one of most beautiful beach in Sattahip, not far from Pattaya. 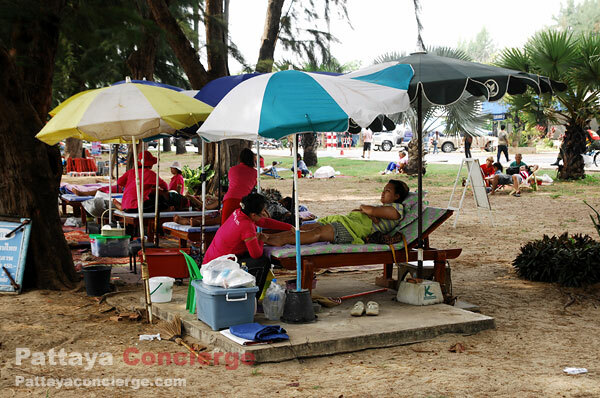 This is because the beach is looked after by Royal Thai Navy. There are lots of rows of toei trees (Pandanus kaida Kurz), and the seawater is crystal clear. 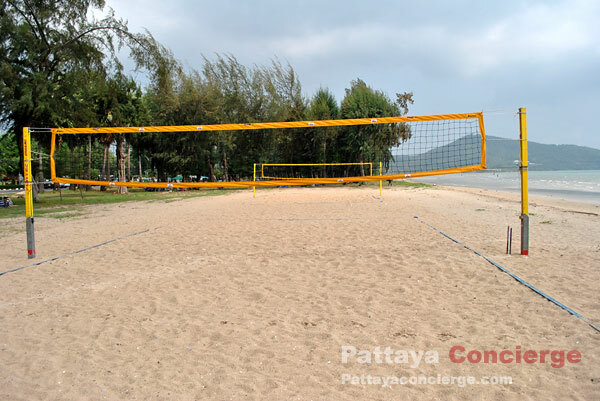 Apart from that the gradually slope of the beach is perfect, so it is a great place for bringing your kids to enjoy swimming here. There is a resort and a few restaurants available around the beach as well. 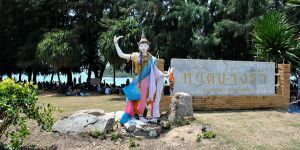 The location of Toei Ngam Beach is in the Navy Headquarter, near Sattahip City. Far from here about: 7.5 km. 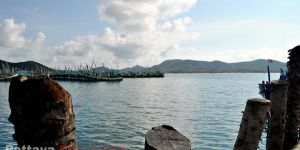 Samae San is a fisherman village in Sattahip. It is a place that tourist usually visit in order to go fishing - especially during September and October, it is the time for calm breeze that is very suitable for go fishing. Not only there is fishing equipment, including boat, for rent, but there are also many accommodations for visitors to stay. Those who like to go fishing at Samae San can hire a Song Taew or taxi to be there.